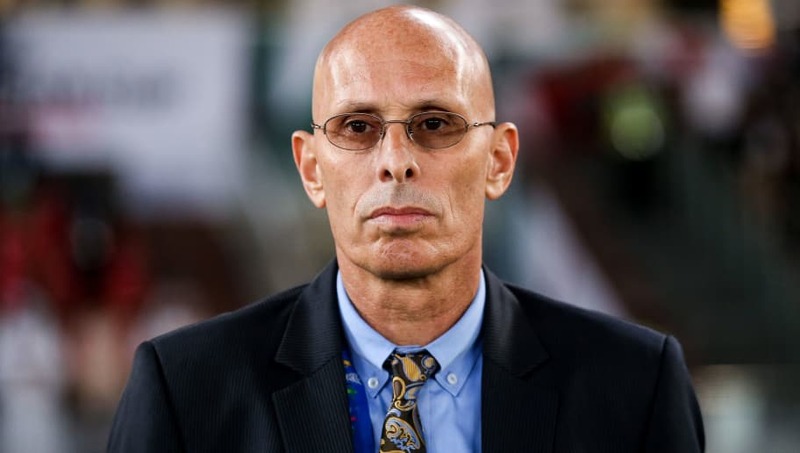 ​Coach ​Stephen Constantine announced his resignation from the post of the coach of the Indian national football team at the press conference after India's match against Bahrain, stating that he will move on. The Blue Tigers suffered heartbreak in the final minutes of the game as they conceded a penalty which knocked them out of the AFC Asian Cup, something which was too much to take for the manager. Really proud of our @IndianFootball team achievements over the last 4 years and appreciative of all of the support from the AIFF, the players, our support staff and the wonderful fans. Jai Hind! You've received truckloads of criticism but still achieved what none of your predecessors have. Thank you, Stephen. Your immense contribution will be remembered boss. Thanks for all the good things. This is not a good way to say bye. Hope of a country tarnished. Couldn't sleep properly. Bad memory from last game. You n team deserved better farewell. Coach was there at the stadium watching it. My obs. No holding play. So defensive on a 4-4-2.Ten blue shirts defending in the box.Wayward passing.Horrendous zonal marking. No one to play the ball up front.Well played on the earlier games but this one was a strategic disaster tbh. Good luck coach. You did fairly well except ignoring some real talents like Soosairaj. Thank you, coach. Congratulations on your great work in Indian Football. I'm sure history will portray it in even better light. All the best!